Cotton is a natural fiber & it is soft, supple, with no irritation despite longer wear & absorbs the moisture, making comfortable. These gloves are available in different weight & thickness for various requirements & different cuff length depending on application. The Dotted Gloves can be offered in 7,10 & 13 Gauge Knitting. 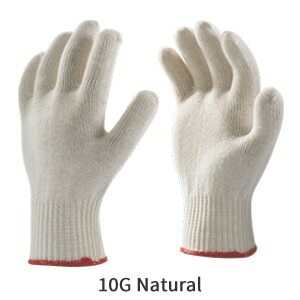 Feature Benefit The gloves made from 100% Cotton-natural fibers that provide excellent comfort, economically priced, with increase in thickness/ weight, it can provide abrasion & heat protection. Seamless Knit Construction & Close Flexible Fit increases the comfort, dexterity, durability & eliminates irritation despite long period of wear & allows the circulation of air reducing perspiration, Ambidextrous- fits either hand for double glove life. M & L Sizes can be done. The long cuff can also be offered for more protection on wrist area & fitting.